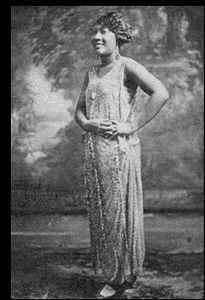 American blues singer and pianist who recorded thirty-eight songs between 1923 and 1926. She was billed as "The Texas Nightingale". Among her best-rememberd songs are "Single Woman's Blues", "Undertaker's Blues", and "Northbound Blues".